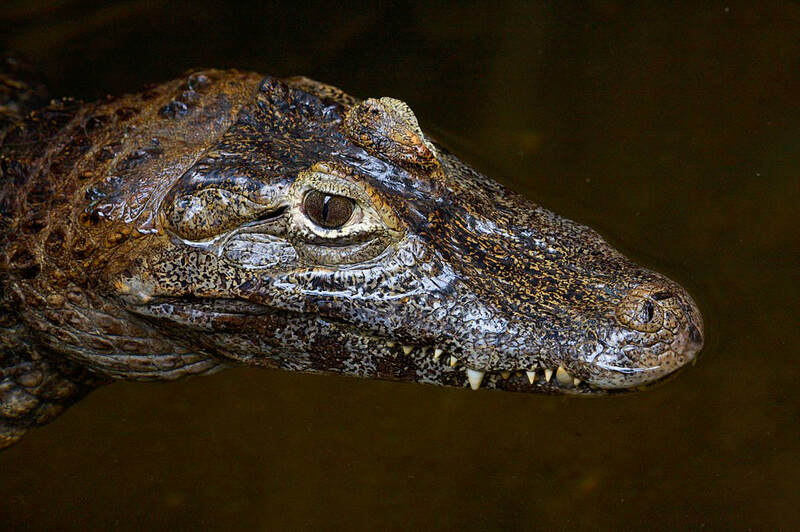 Although they superficially resemble American alligators, Yacare caiman are brownish, medium-sized caiman up to 10 feet in length with a more triangular snout and toothier profile than their American cousins. Rivers, lakes and other wetlands, especially those with floating mats of vegetation. Northern Argentina, southern Brazil, Southern Bolivia and Paraguay. Aquatic invertebrates (particularly snails), fish, snakes and other vertebrates. Unknown but likely 50 years or more based upon life spans of related crocodilians. During the rainy season (which varies with locality), adult females construct mound nests of rotting vegetation and mud. They lay 21 to 38 eggs in a chamber inside the mound. Females guard the nest for several weeks during incubation unless hunting pressure forces them to abandon the eggs. 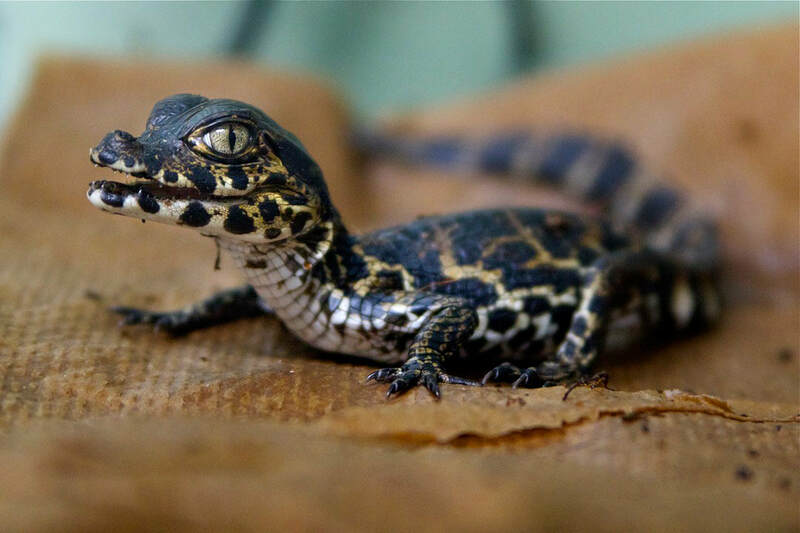 The caiman hatchlings are precocious, meaning they must fend for themselves and receive little or no parental care. Generally stable and at low risk of endangerment, but many historical populations have been depleted. ​South America’s Yacare Caiman are also known as Jacare caiman, Paraguayan caiman, Red caiman and Piranha caiman to name a few. Although these ancient and amazing creatures do eat piranha, they are sometimes called Piranha caiman because their lower teeth are easily visible like those of their pointy-toothed fish neighbors. While all crocodilians (alligators, crocodiles, caiman and gharials) eat fish, many species focus on certain prey species. Yacare caiman search mats of floating vegetation for aquatic snails, crack open the shells with their crushing jaws and dissolve the shell fragments with their powerful stomach acids. 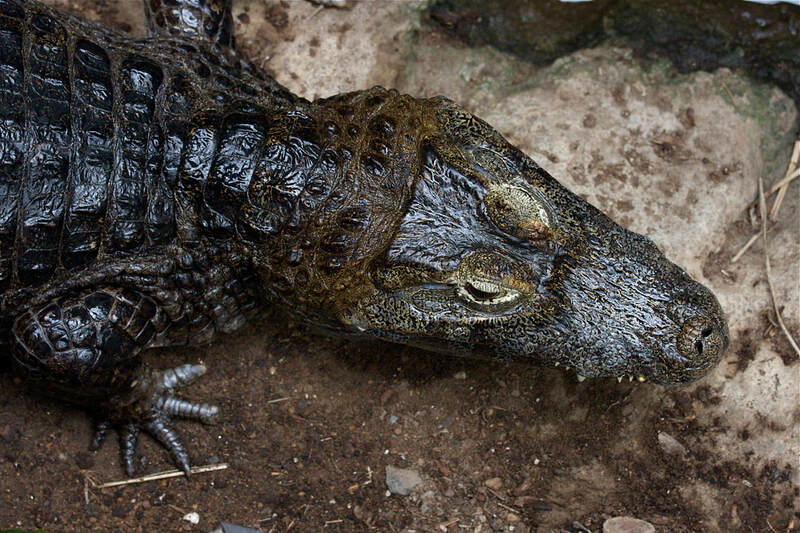 Connecticut’s Beardsley Zoo exhibits caiman in the Tropical Rainforest Building.